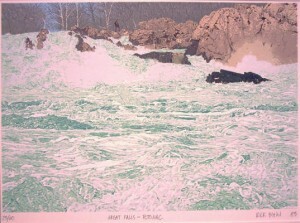 Description: “Great Falls-Potomac” Original Lithograph In Colors, 1983. Pencil-Signed, Dated, Titled and Numbered #23/60. Very good condition.